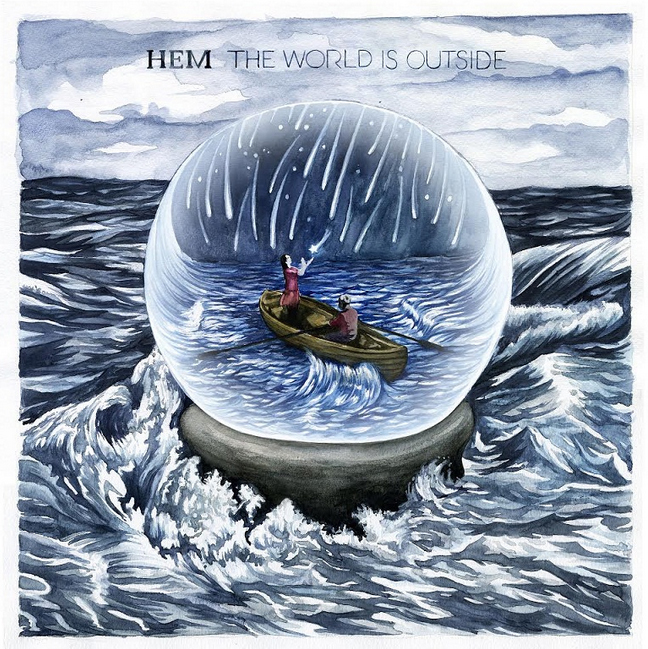 Hem: “The World is Outside” E.P. This one sorta slipped under the radar at the end of 2014. Hem, fronted by the soothing and wise vocals of Sally Ellyson, has been creating music together for over 15 years. Though not a full album, this E.P. – The World is Outside – succeeds as a perfectly encapsulated set of five songs. The world inside the music here is comfortable and warm, like a coffee shop on a snowy day (which is where I happen to be as I write this). “Identical Snowflakes” is a love story about two snowflakes, with playful lines like “This cumulus has no room for us / Let’s cut out from the crowd”. The song’s concept could be unbearably cutesy in the hands of another band, but feels honest and touching here. “Place Names” tells a tale of restlessness and wanderlust and has an understated, yet epic quality with lush orchestral backing behind a foundation of drums, bass, guitar and mandolin. “Soft Landing” features an unhurried, tender fingerpicked acoustic guitar interweaving with the vocals. Buy it, and/or stream the whole thing on their website.